Virtually every time the U.S. fires a missile from a drone and ends the lives of Muslims, American media outlets dutifully trumpet in headlines that the dead were “militants” — even though those media outlets literally do not have the slightest idea of who was actually killed. They simply cite always-unnamed “officials” claiming that the dead were “militants.” It’s the most obvious and inexcusable form of rank propaganda: media outlets continuously propagating a vital claim without having the slightest idea if it’s true. This practice continues even though key Obama officials have been caught lying, a term used advisedly, about how many civilians they’re killing. 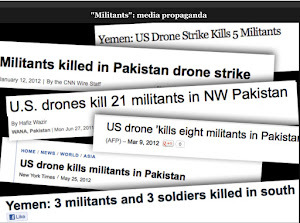 I’ve written and said many times before that in American media discourse, the definition of “militant” is any human being whose life is extinguished when an American missile or bomb detonates (that term was even used when Anwar Awlaki’s 16-year-old American son, Abdulrahman, was killed by a U.S. drone in Yemen two weeks after a drone killed his father, even though nobody claims the teenager was anything but completely innocent: “Another U.S. Drone Strike Kills Militants in Yemen”). Mr. Obama embraced a disputed method for counting civilian casualties that did little to box him in. It in effect counts all military-age males in a strike zone as combatants, according to several administration officials, unless there is explicit intelligence posthumously proving them innocent. Counterterrorism officials insist this approach is one of simple logic: people in an area of known terrorist activity, or found with a top Qaeda operative, are probably up to no good. “Al Qaeda is an insular, paranoid organization — innocent neighbors don’t hitchhike rides in the back of trucks headed for the border with guns and bombs,” said one official, who requested anonymity to speak about what is still a classified program. This counting method may partly explain the official claims of extraordinarily low collateral deaths. In a speech last year Mr. Brennan, Mr. Obama’s trusted adviser, said that not a single noncombatant had been killed in a year of strikes. And in a recent interview, a senior administration official said that the number of civilians killed in drone strikes in Pakistan under Mr. Obama was in the “single digits” — and that independent counts of scores or hundreds of civilian deaths unwittingly draw on false propaganda claims by militants. But in interviews, three former senior intelligence officials expressed disbelief that the number could be so low. The C.I.A. accounting has so troubled some administration officials outside the agency that they have brought their concerns to the White House. One called it “guilt by association” that has led to “deceptive” estimates of civilian casualties. For the moment, leave the ethical issues to the side that arise from viewing “all military-age males in a strike zone as combatants”; that’s nothing less than sociopathic, a term I use advisedly, but I discuss that in the separate, longer piece I’ve written. For now, consider what this means for American media outlets. 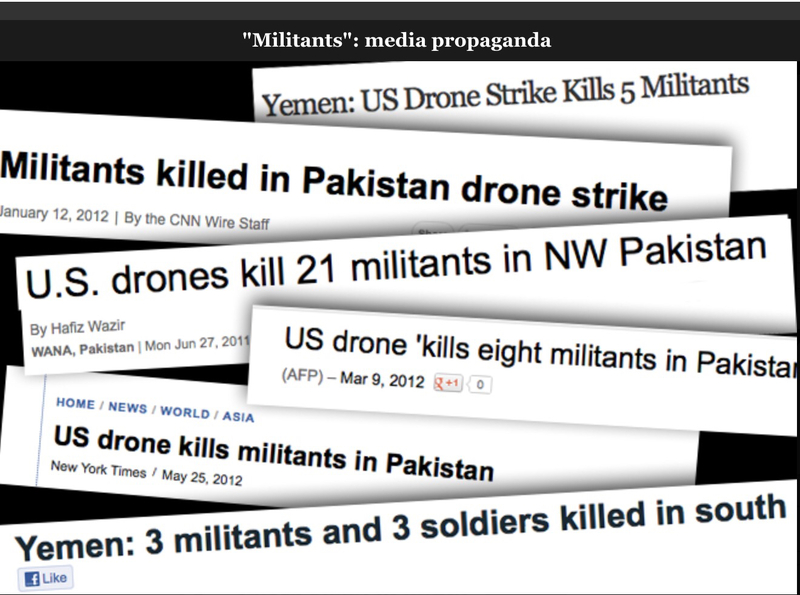 Any of them which use the term “militants” to describe those killed by U.S. strikes are knowingly disseminating a false and misleading term of propaganda. By “militant,” the Obama administration literally means nothing more than: any military-age male whom we kill, even when we know nothing else about them. They have no idea whether the person killed is really a militant: if they’re male and of a certain age they just call them one in order to whitewash their behavior and propagandize the citizenry (unless conclusive evidence somehow later emerges proving their innocence). According to Oxfam’s report, Keeping the Life Line Open – Remittances and Markets in Somalia, Somalis abroad use money transfer companies to send home an estimated $1.3 billion annually. These companies have a presence throughout the Somali territories and beyond, and together they provide basic financial services. In January 2015, Merchants Bank of California, which handles an estimated 60 to 80 percent of the remittances sent to Somali territories from the United States, announced the closure of its business with Somali-American money transfer operators (MTOs). This has created a heated debate amongst Somali communities all over the world due to the fact that remittances have played a huge role in boosting the Somali economy amidst the turmoil over the past two decades. 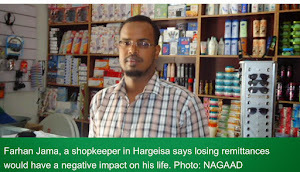 In a bid to address this matter, Red Sea Cultural Foundation organized a public lecture and debate at the Hargeysa Cultural Centre, in Somaliland, under the theme: “Breaking the Lifeline: the Crisis Facing Somali Remittances from the US” on the night of 12 February 2015. The discussion was led by Dr. Laura Hammond, Head of the Development Studies Department of the School of Oriental and African Studies (SOAS), with the participation of influential members from the government, international organisations, MTOs, university students, remittance senders and recipients. Dr. Hammond discussed the recent decision of Merchants Bank, to close the accounts of Somali money transfer companies, in the context of similar dynamics that took place in the UK in 2013. Dr. Hammond reflected on a study she undertook for FSNAU “Family Ties: Remittances and Livelihoods Support in Puntland and Somaliland” on receipt of remittances in both urban and rural areas of Somaliland and Puntland. Her study shed light on what Somalis primarily use the remittances for and highlighted that millions of Somalis are dependent on the remittances on a daily basis. A large portion of remittances are spent on basic needs and have also been used to build hospitals, schools, start businesses and other communal development projects. MTOs are also used by the students to pay their tuition fees, for traders to buy goods, and non-governmental organisations including UN agencies to deliver aid. “Somalis have a deep-rooted traditional value where they uphold their family ties. 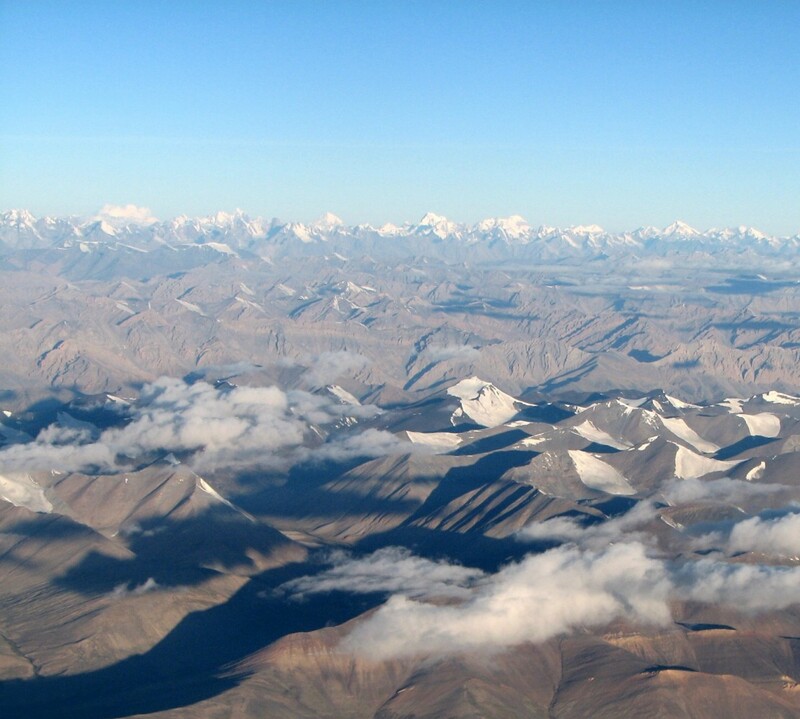 One way of expressing this is through sending remittances. 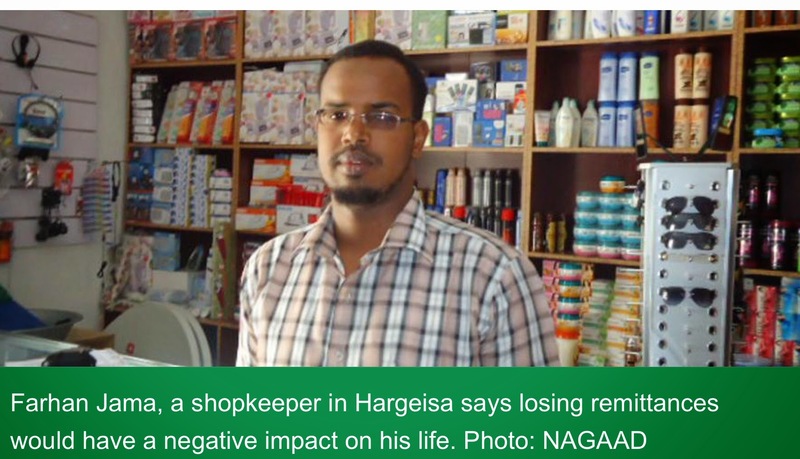 Therefore, breaking that lifeline means breaking up their relationships,” said Dr. Bulhan, a Somali-American scholar currently living in Somaliland. Dr. Hammond anticipated the possible impacts of the cut and the fact that people will pay higher rates, so less money may get through. “They will be forced to engage in illegal sending making them vulnerable; and for those who would like to engage in terrorist financing, money laundering, etc. this is a golden opportunity for them,” she explained. During the discourse, the Minister of Somaliland National Planning and Development raised the rights of American and European citizens to send money back home to their relatives as being violated. Dr. Saad A. Shire also assured that Somalis will send the money anyway. “They will find more new ways,” he said. In conclusion, the debate was lively and among the issues raised was the need to have more open discussions on conventional banking systems in Somaliland, and a call to pass the regulatory laws on remittances and anti-money laundering.